If you own a vehicle and suddenly find yourself in need of professional towing services, or just want to prepare for a rainy day, there are several questions you have to ask before hiring a professional towing company. What services does the company offer? Does it handle all kinds of vehicles? Is the company local and in your residential area? What kind of certifications and licenses does the company have? These questions and others are very important to ask during your decision making process regarding which towing company to hire. Let us review some of the golden rules you should take under advisement before calling that towing company to come to the rescue. When you hire a service provider you must check the company`s certifications and licenses. Why is this important? Because you want to be sure you are treated by professional, certified technicians, who know their job perfectly. Take for instance the BBB accrediting which is not something that is simply given out to anyone. 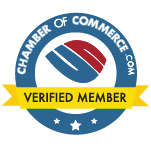 Businesses must prove they meet certain standards to get accredited. This means that when a towing company is BBB accredited, you can be sure they meet important standards that will make your experience a much better one. Think about it, if you need to get from one place to another in a hurry, it is much easier and shorter to do so when you are already nearby. That way, when you hire a locally owned towing company, they can get to where you are in much shorter response times than any other service provider that is located outside of your local area. Also, a local towing company is already familiar with the roads and geographic layout of the area and that directly affects the efficiency of their arrival and overall service. It is highly important to find out what kind of services are included in the towing process, so you won`t be surprised after you have already called up the towing company. Not all companies are able or certified to tow all kinds of vehicles or perform all kinds of roadside services, so it is better for you to ask before making a decision. Constant availability is one of the most important things you should look for before hiring a towing company because you surely wouldn’t want to be left with no one to lend a hand in the middle of the night, or during the holidays, for that matter. In addition, you must check if your service provider of choice has sufficient insurance that won’t leave you exposed to damages. Iron Towing answers all of the above, and more, as we believe that a professional towing company aiming to assist San Francisco motorists should provide its customers with the full services package they need and expect. We are available 24/7 for all kinds of roadside assistance and towing solutions, and of course, we’re locally owned. Our technicians are certified and reliable and get to wherever it is you need them to get anywhere in San Francisco within 30 minutes. When you hire us – you are fully covered, by professionalism.